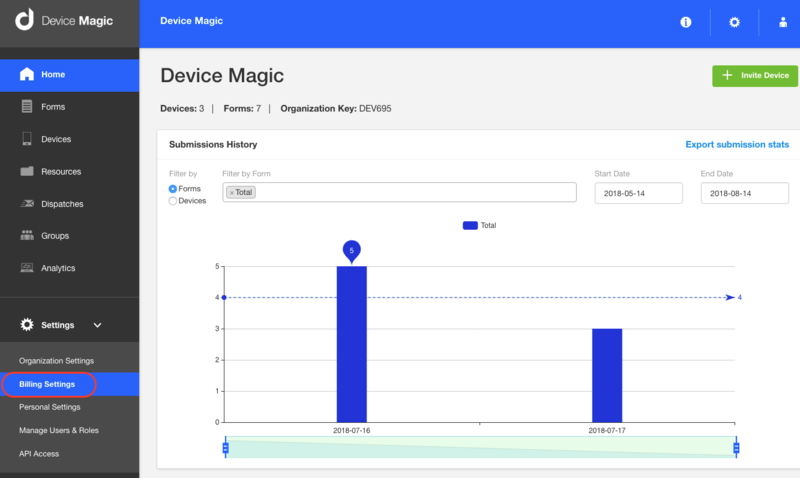 If you need to view or download a record of your monthly billing, you can access and download your invoices from the Device Magic Dashboard. First, click on Settings and then Billing Settings. 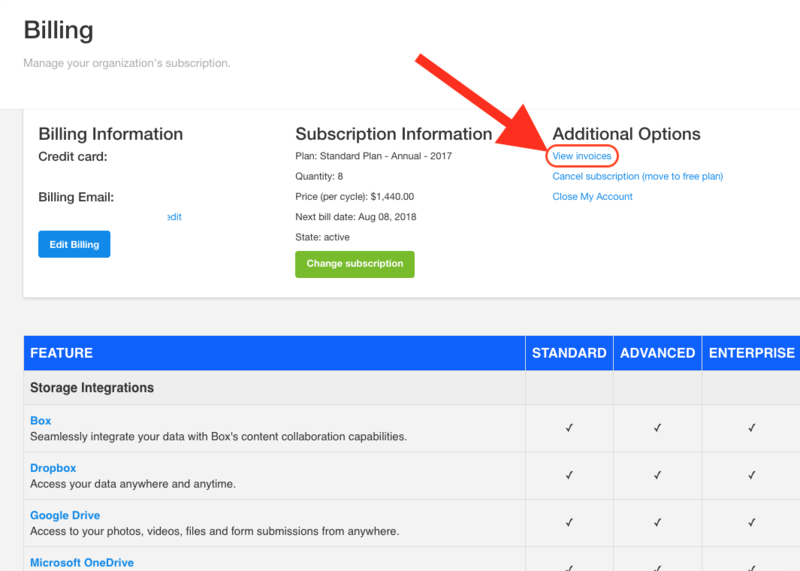 Next, click on View Invoices. On this page you have access to view and download any of your invoices for your account.